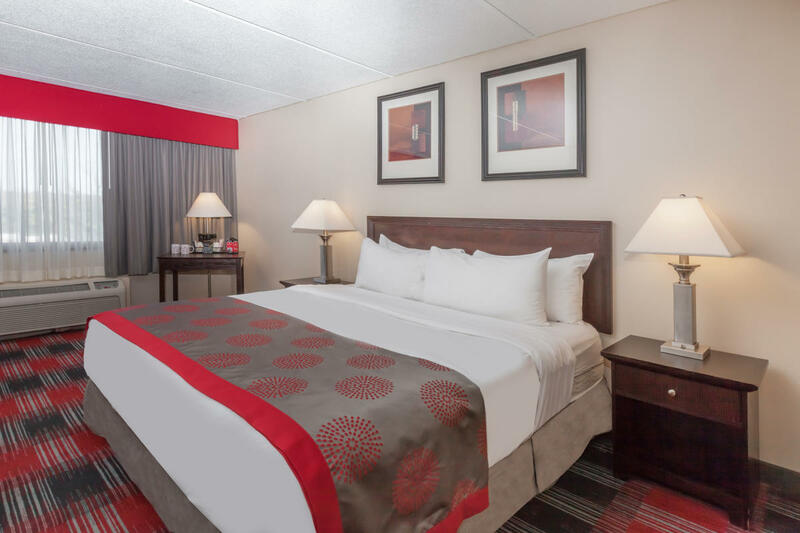 As a full-service hotel conveniently located in Albany´s capital city, it´s no wonder why our guests choose to make the Albany Ramada Plaza Hotel their home away from home. Our competitive rates include a full hot American breakfast featuring Belgian waffles, scrambled eggs, home fries and protein of the day along with the usual continental fare. Our on-site restaurant and lounge, the Plaza Grill, make it easy to grab a bite to eat without leaving the hotel or catch the game with other sports enthusiasts. 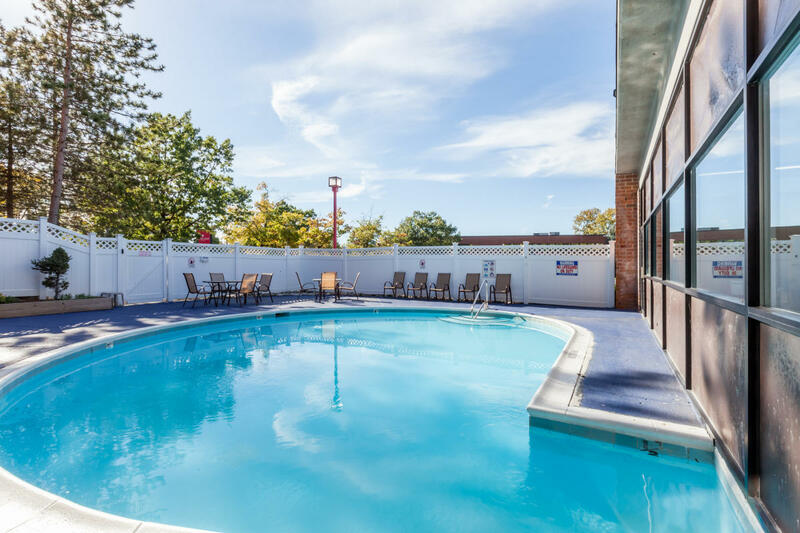 Complimentary parking, Wi-Fi throughout the hotel, and a microwave and refrigerator in every guestroom, are just some of the other amenities that our guests enjoy. Free shuttle service to and from Albany International Airport, Amtrak, Times Union Center and Albany Bus Station (24 hour notice required). Description A conference room for 10. An amphitheater that seats 50. A ballroom that can accommodate 300. And several other rooms where your group will fit right in. 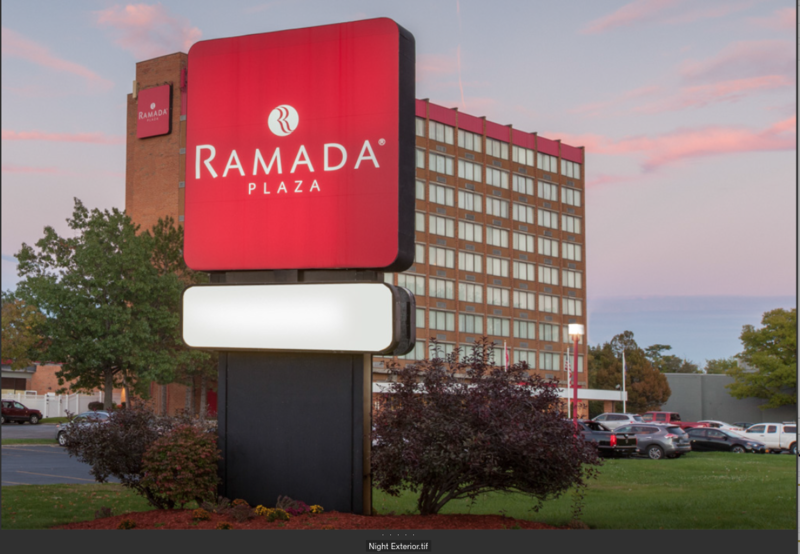 At the Albany Ramada Plaza, we are dedicated to making a meeting planner's work easy. Our knowledgeable sales team will provide your with the assistance and information you need to plan a successful event, including a variety of menus at budget friendly prices. 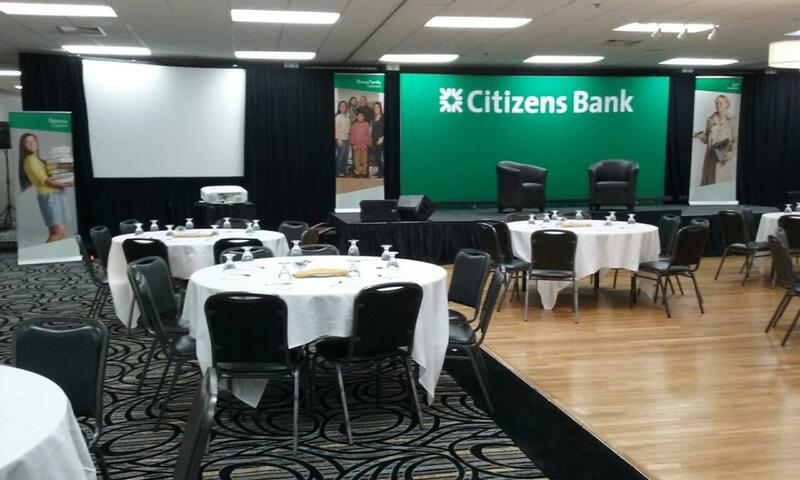 Our friendly staff will ensure the success of your event after you arrive. 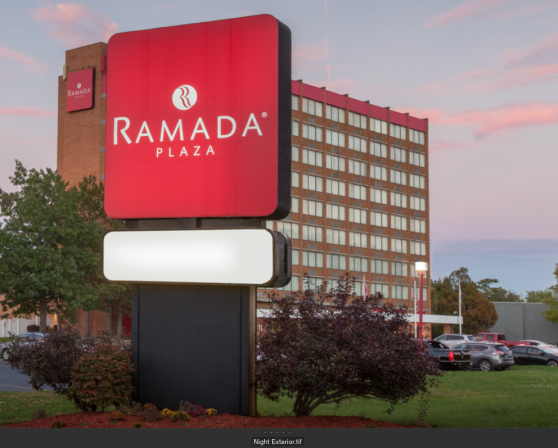 Discounted group lodging rates, complimentary parking, and Wi-Fi are just some of the other reasons groups choose the Albany Ramada Plaza for meetings, conferences, and events. If you're looking for superior service in a convenient location, look no further.